Solar panels have long been the first thing that comes to mind when we think about incorporating eco-friendly energy solutions into daily life. But traditional solar panels have their drawbacks, most notably that they only catch a portion of the sunlight falling on a building. 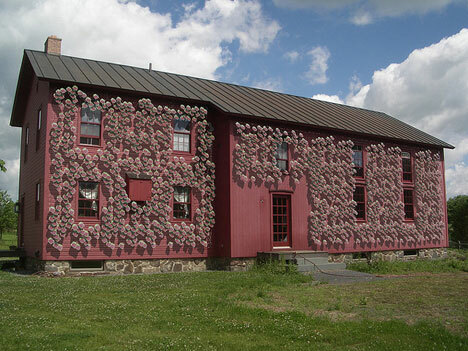 A company called SMIT wants to increase the amount of solar energy captured by “green” homes by covering them with solar panels that mimic crawling ivy plants. Solar Ivy is a system that uses small, leaf-like solar panels to capture and utilize the sun power that’s usually out of reach of solar panels on vertical surfaces. 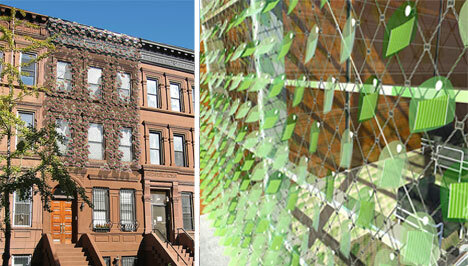 Just like its namesake, the Solar Ivy setup uses an array of “leaves” to thrive in the less heavily sun-drenched areas of a building’s exterior. 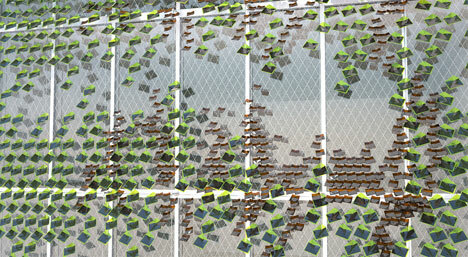 Building sides are covered in a mesh material, then thousands of “leaves” are attached to the mesh. The lightweight panels are put on in strategic positions determined by SMIT’s software. The software figures out the angle and rotation that will catch the most sunlight, as well as a pattern that keeps the leaves from casting shadows on one another. The system is still considerably expensive right now: $40,000-$60,000 will get you enough 8″ X 10″ leaves to cover two walls of a three-story building. That amount of leaves will generate around 10 kilowatt-hours of power a day, or about one-third of an average home’s needs. But as demand rises we may very well see the price decrease, just like the prices of traditional solar panels have come way down. The company is taking pre-orders right now for the brilliant bio-mimicking solar collection system. See more in Energy & Power or under Science. September, 2010.